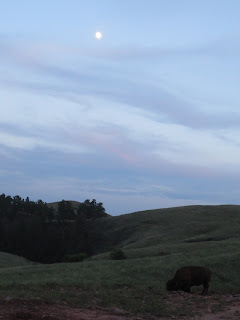 My husband and I visited Custer State Park in the Black Hills several years ago. Your post brought back fond memories. This would be a nice trip to do again. Oh, good! Glad to bring back good memories for you! It's one of our favorite places (and not just because we have family there!) Hope you can get out there again soon. I've seen so many pictures of Prairie dogs, but I've never actually seen one. I didn't get a very good shot of them this time - they are so much fun to watch, popping up out of their little holes! I always thought that part of the country was beautiful but never got to see it for myself, so thanks for the wonderful photos! Glad you enjoyed them! It is beautiful! So much wildlife out there! I've never been to the Black Hills. Thanks for sharing what I've been missing. Custer State Park is amazing, Deb! And we didn't see the mountain goats or bighorn sheep this time! Stop back next week for more scenic pics of the area. What fun and evocative photos. Are you making your way home this week? Oh, gosh, Anne - we were only there for about 3 days 2 weeks ago! Quick trip this time, squeezed in between my son finishing summer session and the start of the fall semester. We have family in Black Hills...and it's one of our favorite places, too!